Indexing columns is a joy and adventure. I have just indexed a datetime column to boost performance. The query had a date range, and the column didn't have index yet. 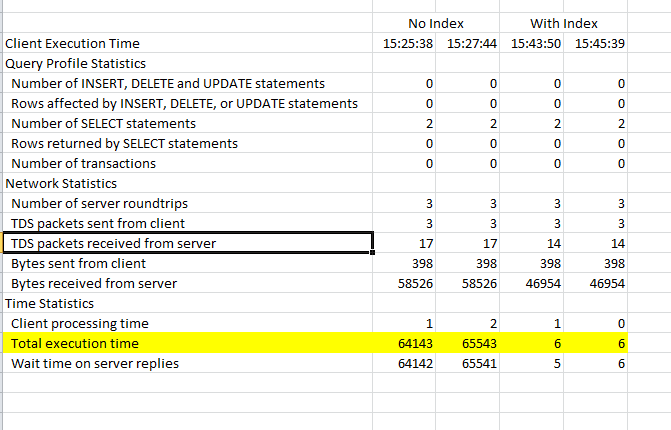 The query took longer than a minute without index. Surprisingly and very happily, the time reduced to 6 milliseconds. I love index. Another surprise. It took 6 minutes to create the index. I'm not sure which sort order (ASC or DESC) is better for datetime column. Maybe it's just order preference, if your query requires sorted result.